Cartier Heights - end unit 1660 sq.ft. on main and 1600 sq.ft. in fully finished basement with outside access. Remodeled kitchen with lots of pull-out corner cabinets/drawers, window ledge for plants over sinks, pantry, eating bar. 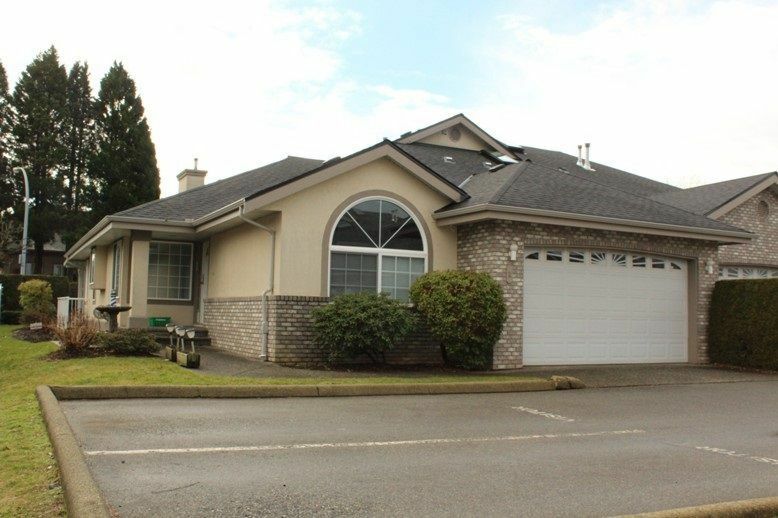 French door to cozy family room w/patio doors to covered patio, 2 sided gas fireplace. Pocketed door to very bright living room/dining room. Laundry up and down. 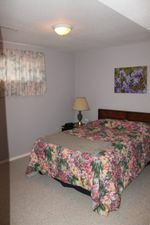 Master bedroom is very good size w/4pc ensuite, walk-in closet & linen closet. Maple hardwood throughout the main. Rec room down is family sized, bedroom, lots of storage and a den. No age restriction, pet w/restriction, no rentals. Strata is $421.80/month.